Key Difference: Proteins are the primary building blocks for body tissues. 20 essential amino acids make up the proteins that are required in the human body. Mass gainer is basically used to meet the caloric requirements. It is helpful for those who want to gain weight. In today’s world, people want everything to be precise and easily achievable, even when it comes to body building, exercising, losing weight, or anything else. Thus, two of the oldest and most popular dietary supplements are protein supplements/powders and mass gainers. Both can be very beneficial, depending upon one's objectives. Both are usually in a powder form and are easily prepared. However, the products are very disparate from each other, so it is very important to clear both the terms: Protein and Mass Gainer. Proteins are the primary building blocks for one’s body tissues. They are polymers of amino acid. There are hundreds and thousands of different proteins that are all made up of different combinations of amino acids. However, there are only twenty different amino acids that are important for humans. Typically, to gain muscle mass or even lose fat; one has to keep their protein intake high. In short, protein supplements are used to meet protein requirements, and generally not consume for their caloric content. Just as it is impractical to consume hundreds of extra calories from solid food, it is non-practical to consume hundreds of grams of protein as well. Thus, protein powders are very useful for one's fitness goals. Mass gainer is basically used to meet the caloric requirements. Hard gainers who are not able to gain weight or muscle, and need extra calories - weight gainer is the best formula. The benefit of the mass gainer is that it is a type of dietary fat that helps to keep one leaner when he is going about the muscle-building process. The most common type of mass gainer is a powder mix. Large amount of proteins, high amount of carbohydrates and limited amount of fats are often added. The plant or animal tissues which are rich in such molecules are considered as a food source, supplying essential amino acids to the body. 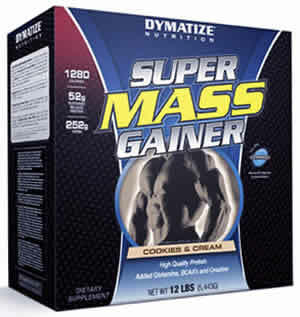 Mass gainer is loaded with proteins, carbohydrates, and few fats. It is helpful for those who want to maintain their weight. 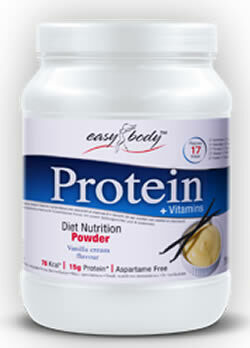 Protein powder consists of pure protein. May have a limited amount of carbohydrates, but protein is the main ingredient. Large amounts of protein, as well as a high amount of carbohydrates and limited amount of fats. Protein powders are used to meet protein requirements. Mass gainers are used to meet caloric requirements. Anybody looking for an additional boost of protein, or quick meal. However, it is commonly used to make protein shakes with ingredients such as juices, milks and yogurt. Useful for those who want to put on their mass. Bodybuilders need vast amount of proteins and calories to pack on more muscle mass.